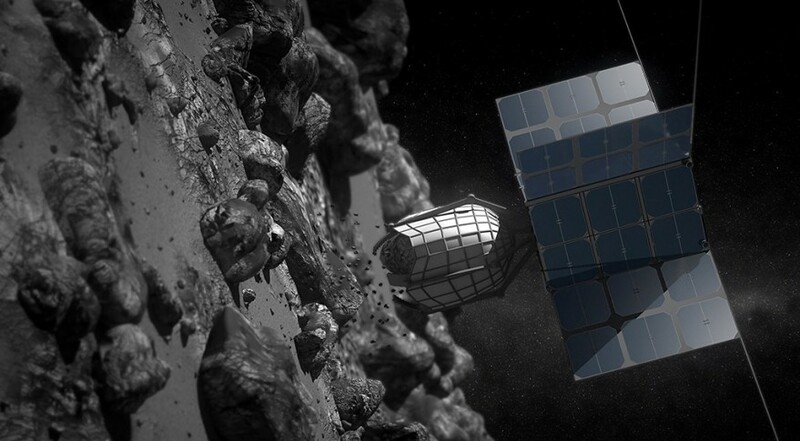 WASHINGTON — Deep Space Industries (DSI), a company founded to pursue asteroid mining but which more recently has focused on smallsats, has been acquired by another space technology company. Bradford Space, a U.S.-owned company with facilities in the Netherlands and Sweden, announced Jan. 1 that it has acquired San Jose, California-based DSI. Ian Fichtenbaum, a director of Bradford Space, confirmed in a Jan. 1 email that the deal had closed, but that terms of the acquisition could not be disclosed. A group of entrepreneurs and space advocates founded DSI in 2012 with a goal of developing technologies for prospecting and eventually extracting space resources, such as water ice, from asteroids. It proposed carrying out those missions using small spacecraft the company planned to develop. More recently, DSI pivoted towards smallsats in general, including the production of a propulsion system called Comet that used water as propellant. The company promoted Comet on its ability to provide performance approaching that of traditional monopropellant systems like hydrazine, but with a non-toxic propellant that was cheaper and safer to handle. Bradford Space has its own green propulsion systems for spacecraft through its 2017 acquisition of ECAPS, a Swedish company that developed high-performance non-toxic satellite propulsion systems. Fifteen spacecraft are using those ECAPS thrusters, including three launched Dec. 3 on a SpaceX Falcon 9. That launch also carried four satellites using Comet thrusters from DSI. Fichtenbaum said that Bradford sees Comet as a complementary product to its existing ECAPS thrusters. The acquisition will give Bradford a presence in the United States to help sell ECAPS systems and other technologies, as well as “a great engineering and production team” and customer base. “The Bradford infrastructure will also help sales of Comet in Europe and with our pre-existing ECAPS customers,” he added. DSI, which will be rebranded as Bradford Space Inc., or BSI, will continue to work on a satellite bus called Xplorer that is intended for use on missions beyond Earth orbit. “The DSI team provided very innovative solutions to the problem of exploring the solar system at a reasonable cost, and we are eager to see if that can be developed with the help of Bradford technologies,” Fichtenbaum said in the statement announcing the acquisition. Those technologies include components on ESA’s BepiColombo mission to Mercury launched in October and the JUICE mission to Jupiter under development. The acquisition of DSI comes a little more than two months after another startup with asteroid mining ambitions, Planetary Resources, was acquired by ConsenSys, a blockchain technology company. The founder of ConsenSys, Joseph Lubin, said in a statement at the time that Planetary Resources fit into its vision of “democratizing and decentralizing space endeavors” but has provided few details on how that would be carried out.